Hip Hip Hooray! Help us celebrate Earth Day! 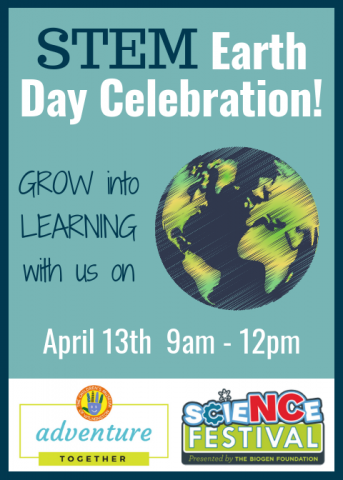 The Children’s Museum of Wilmington is hosting a STEM focused Earth Day celebration where children can focus on the earth and how our actions impact plants and animals. Join us for Plastic Bag Weaving, Farm to Table Planting, Painting with Flowers, and MORE!